Professor Acharya will officially begin his three-year term of service on January 20, 2017. As one of the world’s fastest growing economies, India has the massive potential to become an economic powerhouse. 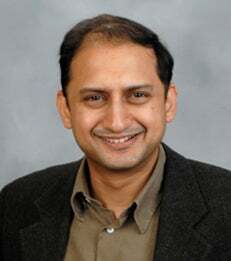 NYU Stern School of Business announced that Professor of Finance Viral Acharya has been appointed Deputy Governor of the Reserve Bank of India (RBI) by the Central Government of India. Professor Acharya will officially begin his three-year term of service on January 20, 2017. In his new role, Professor Acharya will be in charge of monetary policy, foreign exchange and market operations, as well as research and statistics. Professor Acharya’s primary research interests are in the regulation of banks and financial institutions, measurement of systemic risk, and understanding the nexus between sovereign and financial sector credit risks. Professor Acharya, also the Director of the NSE-NYU Stern Initiative on the Study of Indian Capital Markets, has received numerous awards and recognition for his research including the recent Alexandre Lamfalussy Senior Research Fellowship of the Bank for International Settlements (BIS) for 2017 and the inaugural Banque de France and Toulouse School of Economics Junior Prize in Monetary Economics and Finance in 2011.